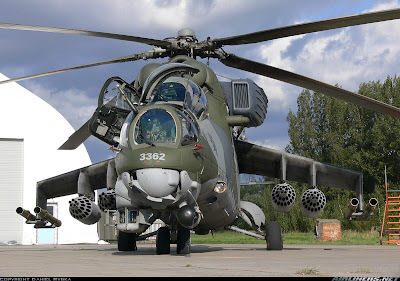 A Nigerian Air Force Mi-35 Helicopter on a training mission has crashed, the Defence Headquaters has said. The jet crashed this afternoon due to technical fault at a location South of Bama, Defence spokesperson, Chris Olukolade, said in a statement made available to PREMIUM TIMES. The statement did not say whether anyone was killed or injured in the crash. Mr. Olukolade, a Major General, said investigation has commenced to unravel the circumstances leading to the accident. He however said the accident was not a result “of any enemy action”. Further details on the crash, Mr. Olukolade said, would be made known as investigation progresses. Bama is one of the locations in the North-east state of Borno where the extremist Boko Haram sect has intensified its terrorist activities. The Nigerian military has continued to launch ground and aerial assaults on the area to crush the terrorists. The Boko Haram sect has killed more than 12,000 people since it began its insurgency about five years ago.